Of all the Vancouver-based labels floating around indie boutiques and trendy neighbourhoods, (212) and CiCi come the closest to embodying what I want to wear 24/7. (212)'s design duo, Scott Walhovd and Anthony Castro, have always prided themselves on bringing a dose of New York cool to the streets of Vancouver with their bi-coastal design studio and aesthetic. 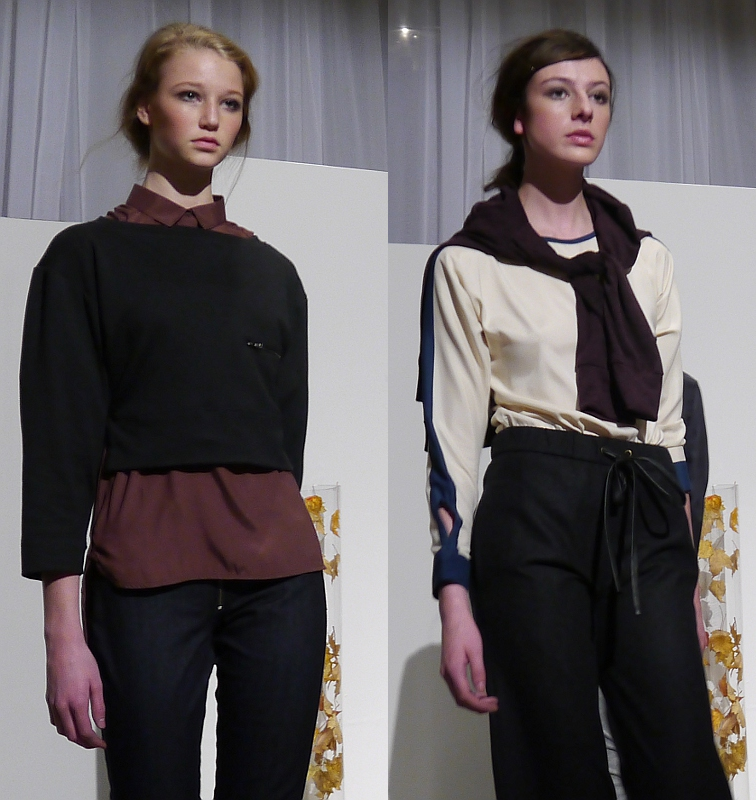 At their fall/winter 2011 show two weeks ago, they definitely delivered on their promise of the perfect wardrobe for "women who are demure but confident, elegant but easygoing." (212) fans who've come to count on the label for sophisticated, classic pieces with a contemporary twist won't be disappointed. A deep, rich palette of neutrals accented with jewel-toned purples, greens and teals ruled the runway. Prepster staples like button-front shirts and silk blouses were reinvented with contrasting trim and asymmetrical hems (longer in the back, shorter in the front). Tailored jackets and cozy knitwear rounded out the collection. Something tells me I'll be visiting their Gastown boutique soon, and I won't be leaving empty-handed. Congratulations on a lovely show! wow - definitely some talent in vancouver! Definitely classic and love the deep purple color. I really think I'll try that look where the model wears a button up on top of a turtleneck. So warm yet fashionable! cool photos!!! :D lot of talent there eh? Lots of talent!! Wow! Thanks for sharing. Classic and actually wearable! 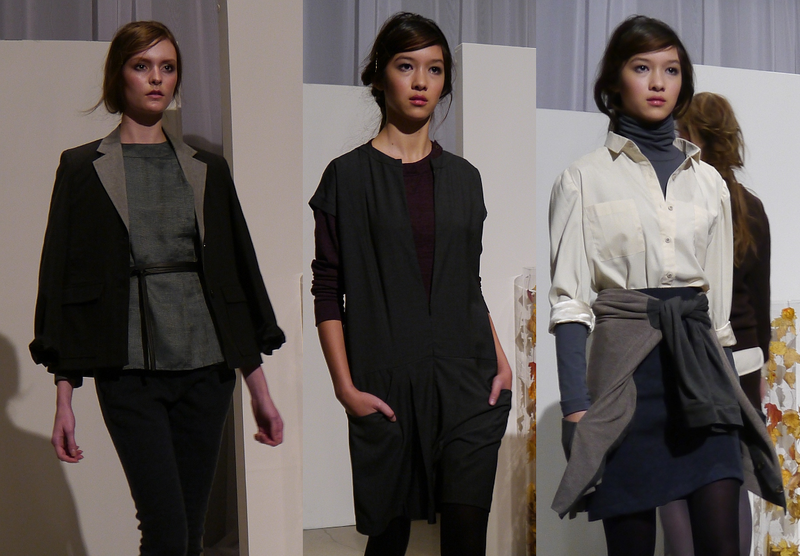 Love this collection that hails from Vancouver . . .